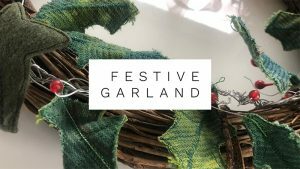 We’ve grouped together our popular festive video workshops to help get you all set for the season. 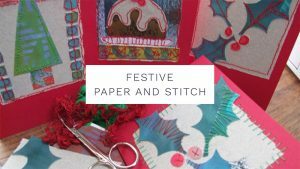 Make your own stitch paper greetings cards, pop them in funky printed envelopes, then decorate your home with easy to sew bunting and a fantastic wire and stitched leaf garland. There are four workshops in this collection. 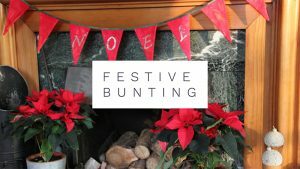 Learn how to make your own festive fabric bunting. This bunting is quick and easy to make and will add a festive flair to your home this season. 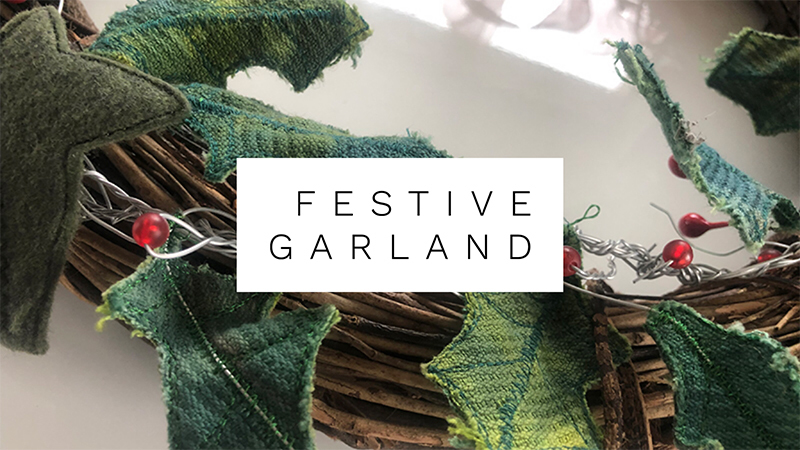 Decorate your home with a beautiful fabric and wire garland that’s sure to become an heirloom decoration. Make your own beautiful festive greetings cards using a stitched paper technique. Join Laura to see how she makes several different designs you can try. Send the most splendid post this festive season! 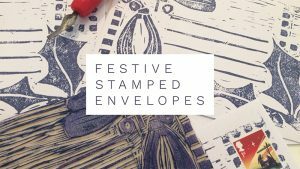 Decorate your envelopes with a hand printed design. Learn how to carve your own block and print the envelopes.